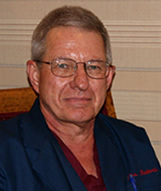 Bruce J Roberts, M.D., F.A.C.O.G. completed his residency in Obstetrics and Gynecology at the University of Texas Southwestern Medical Center, Dallas, TX. Dr. Roberts began his private practice with Dr. J. Patrick McCarty the founding partner of Northlake OB/Gyn. Dr. Roberts has delivered over eight thousand babies in his 30 plus years of practice and service to his loyal patients at Medical City Dallas Hospital. Dr. Roberts is married to Teri and has three adult children. He spends his spare time traveling, cooking and relaxing at the lake. Dr. Roberts enjoys being with his three grandchildren and sharing in their many activities.